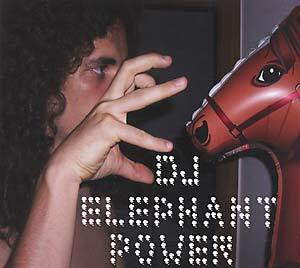 "Nicolas Baudoux's (aka DJ Elephant Power) 2004 solo album No Si, Ni So was more than just an enjoyable debut. Almost en passant, the album redefined the job and the self-image of the DJ. Baudoux is the legitimate successor to the turntablists who dominated the mid '90s but without the battle attitude or b-boy posturing. An anti-perfectionist, Baudoux performs on the verge of complete loss of control; his tracks are anything but tight, yet they groove like hell. He constructs monumental grooves from tinny hip-hop samples, coaxes grime from electric guitars and layers jolty drum patterns, pumping distorted bass and clanging string instruments to create some radical dynamics. As one half of the duo Scratch Pet Land, Baudoux belongs to a posse of Belgian artists known for their improvisational electronics and absurdist humor. Scratch The Hulu has plenty of both."